Halloween doesn't have to take place on just one night. 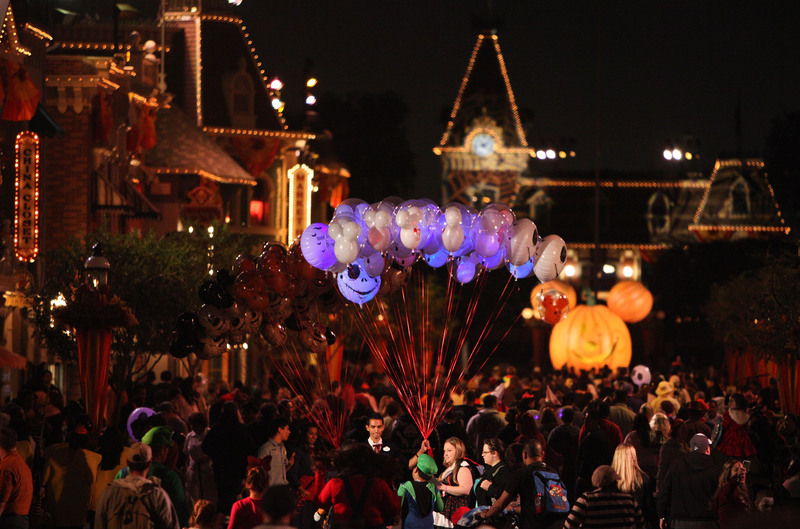 Mickey's Halloween Party at Disneyland offers many nights of trick-or-treating, fireworks, dance parties and more. I mean, how much more fun does it get than spending an evening in Halloween costumes at the happiest place on earth? Our family recently celebrated Halloween an entire month early. And it was spectacular in a way that few places can make it. 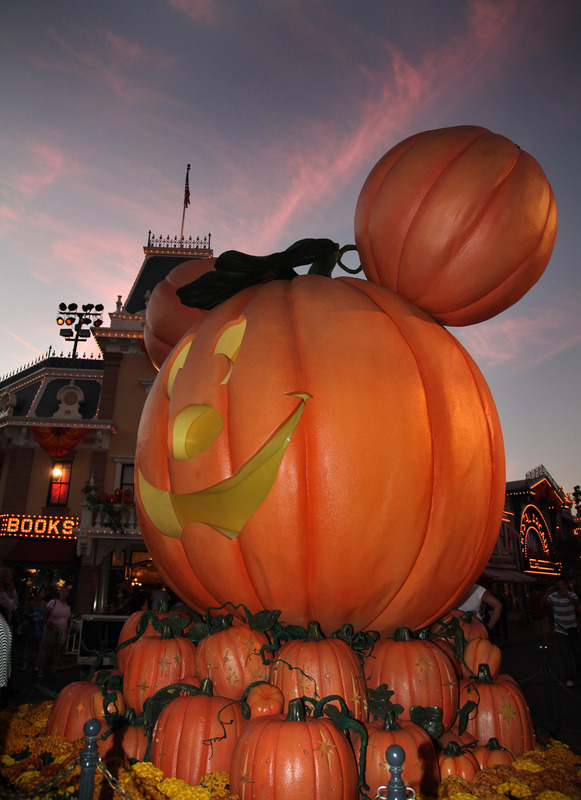 We went to Disneyland for Mickey's Halloween Party. A few years ago, we were Disneyland season ticket holders and happened to visit the park on a day that the Halloween Party was taking place. We had no idea what was going on when the park closed at 7:00 p.m. As we were exiting, crowds of children in costumes were entering. Boy, did we feel like we were missing something. And as it turns out, we were! What (and where) is the party?! Who knew Disneyland could get even better during the holidays? 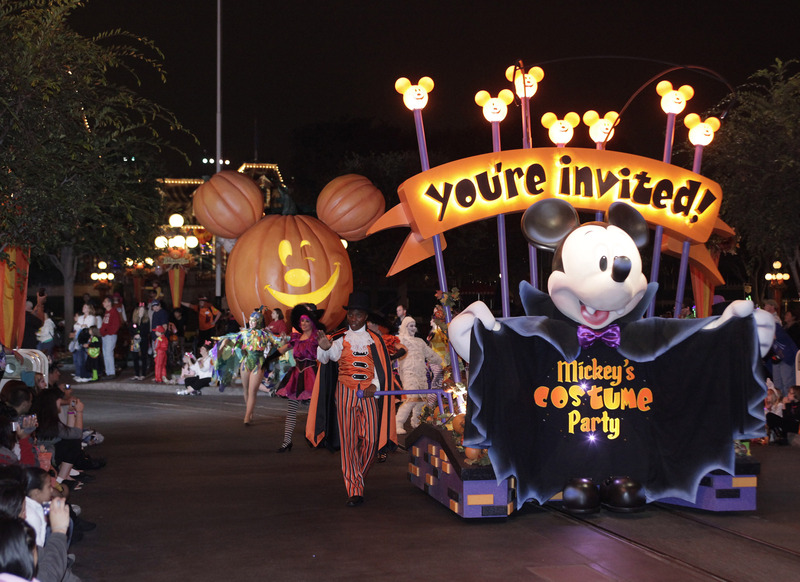 During the month leading up to Halloween, Mickey's Halloween Party takes place on select nights. It's a ticketed event, separate from regular park admission. You can purchase tickets in advance online. The following dates are still available this season: Friday, Oct. 4; Tuesday, Oct. 8; Friday, Oct. 11; Tuesday, Oct. 15; Friday, Oct. 18; Monday, Oct. 21; Wednesday, Oct. 23; Friday, Oct. 25; Monday, Oct. 28; Wednesday, Oct. 30; and Thursday, Oct. 31. Purchasing tickets in advance means you'll have a better chance of getting the date you'd like and you'll receive a discount. We loved the Costume Party parade. 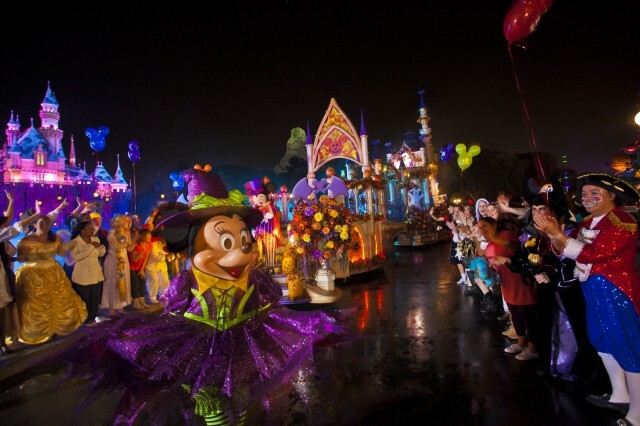 Characters danced down Main Street in costumes, bringing Halloween to life. Trick-or-treat stations are set up around the park. Kids (and adults — yes, I totally trick-or-treated, too) line up for handfuls of candy. A Halloween Screams fireworks show lights up the sky. Kids can get their groove on at the Monsters U Dance party. And there are great photo ops with characters. We got in line to see Jack and Sally toward the end of the night, but my son fell asleep while we were waiting. There's always next year! One of the extra fun parts for us was seeing some of the great costumes people wore. We saw a group of teens dressed as the Tinker Bell fairies. Their costumes were impressive enough that my daughter thought they were the actual fairies. Equally fantastic was a woman dressed as The Little Mermaid's Ursula. Her wheelchair was draped with Ursula's tentacles. We can't wait for next year. I think we're going to make this an annual tradition.